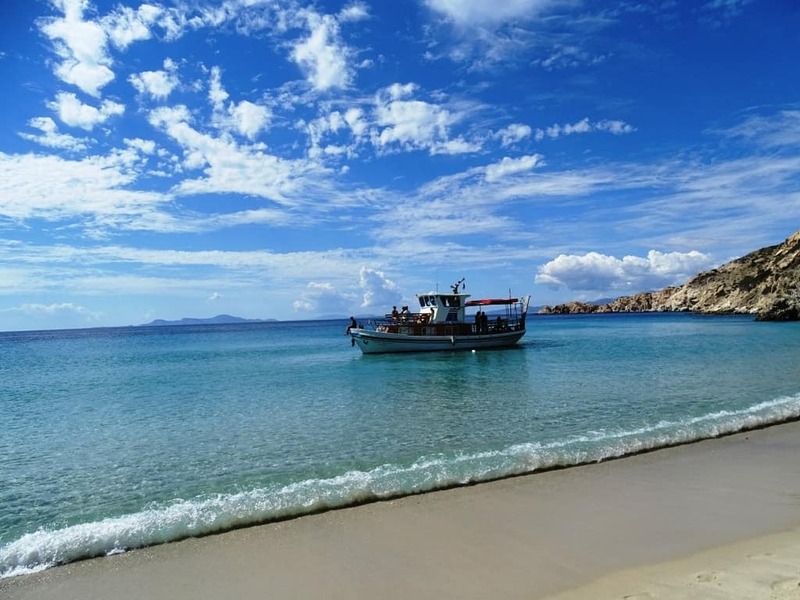 Donousa is a little island in the southeastern Cyclades in Greece. 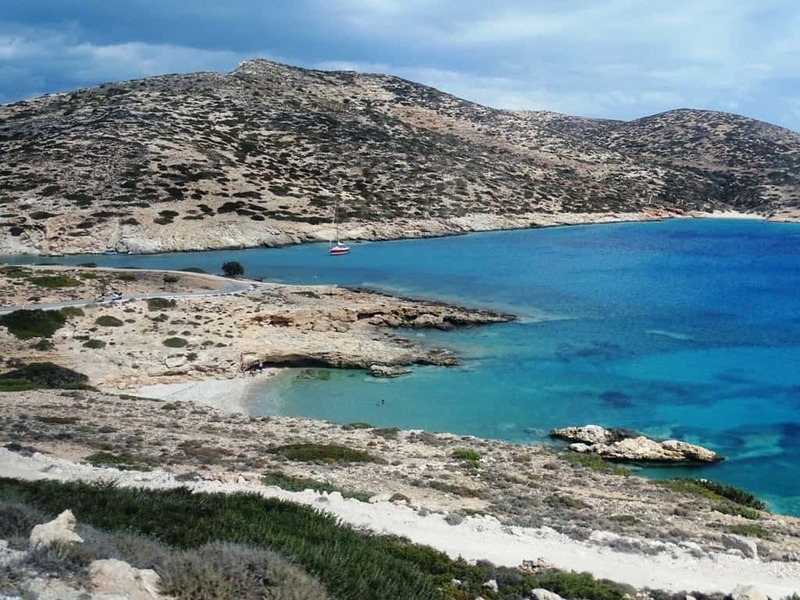 It is part of the “Small Cyclades” islands complex along with Schinousa, Koufonisia and Iraklia. The island is very small with about 150 permanent residents and 250 cats. It has a main road, of 13 km that connects all the villages with the port. This summer I was feeling very tired and wanted to spend my holidays on a small island with nice beaches and good food. Donousa was the ideal place to do that. 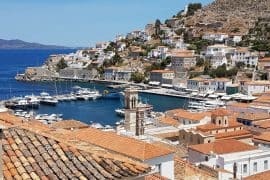 Even if it is a small island, Donousa has a lot of things to do. Stavros is the main village of the island. 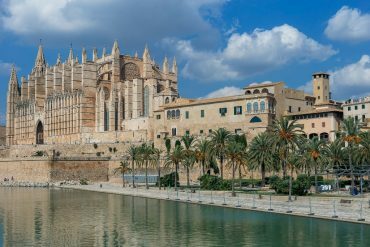 Here is also the main port and most of the available accommodation options. 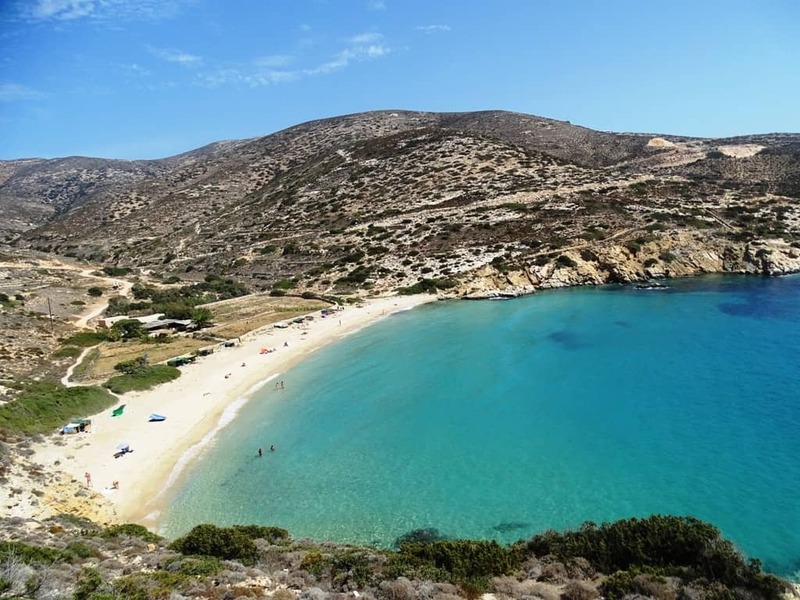 There is also a beautiful sandy beach called Stavros with crystal clear waters. 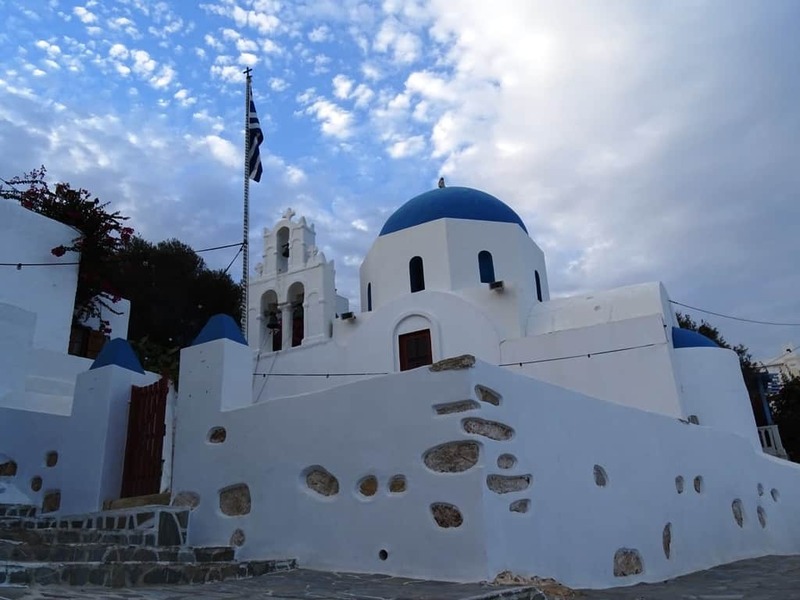 Don’t forget to visit the picturesque Church of Stavros with the blue dome. 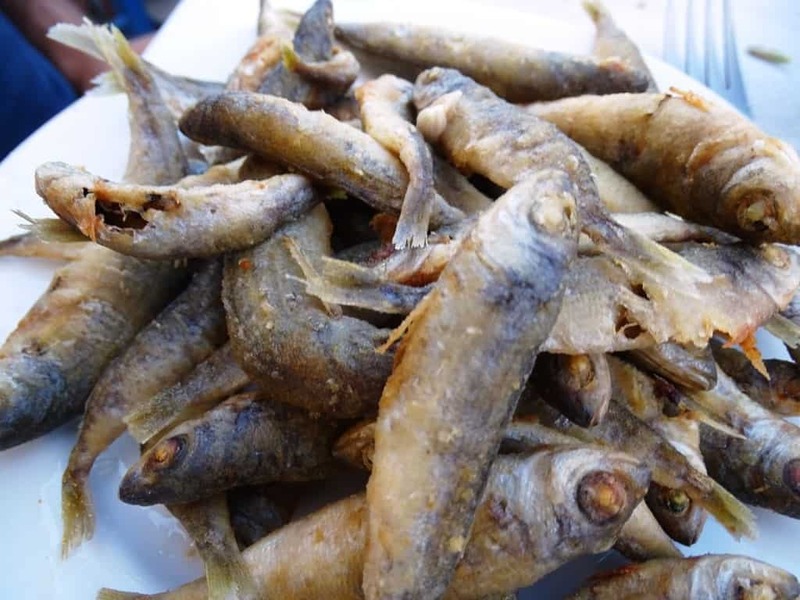 In Stavros, you will find a selection of traditional tavernas and two cafe -bars. 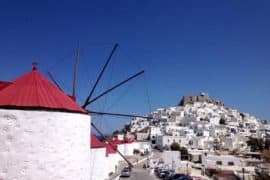 If you take the road from Stavros in about 4km, you will see Messaria, an almost uninhabited village. A few kilometres down the road and you will arrive in Mersini village. 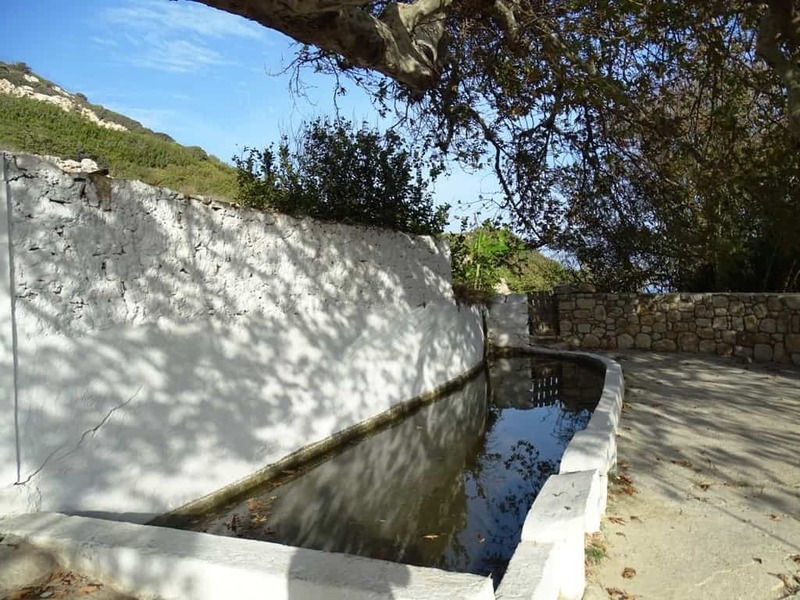 Here you will meet the only spring of the island with potable water. There is a 20-minute path from the village that leads to Livadi beach. The village also has the beautiful church of Aghia Sofia and two restaurants; “Tzi Tzi” and the “Daughter of Michalis”. The latter one is a reason alone to visit the village as the food is fantastic. At the end of the road starting from Stavros, you will see the small settlement of Kalotaritisa. 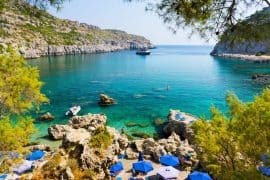 There are several small beaches on the village with turquoise waters and an excellent taverna with great beef burgers. The island has four main beaches all worth visiting. 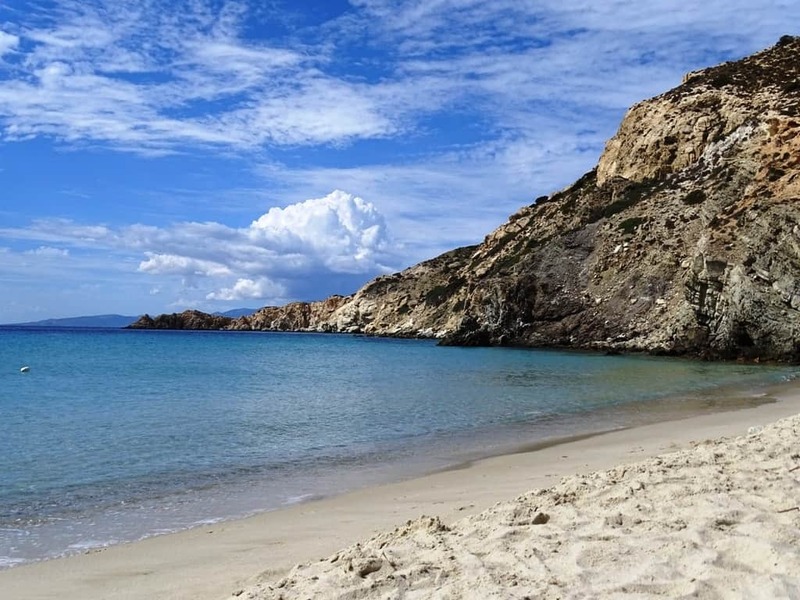 Stavros beach is one of the most popular beaches on the island as it is easily accessible. 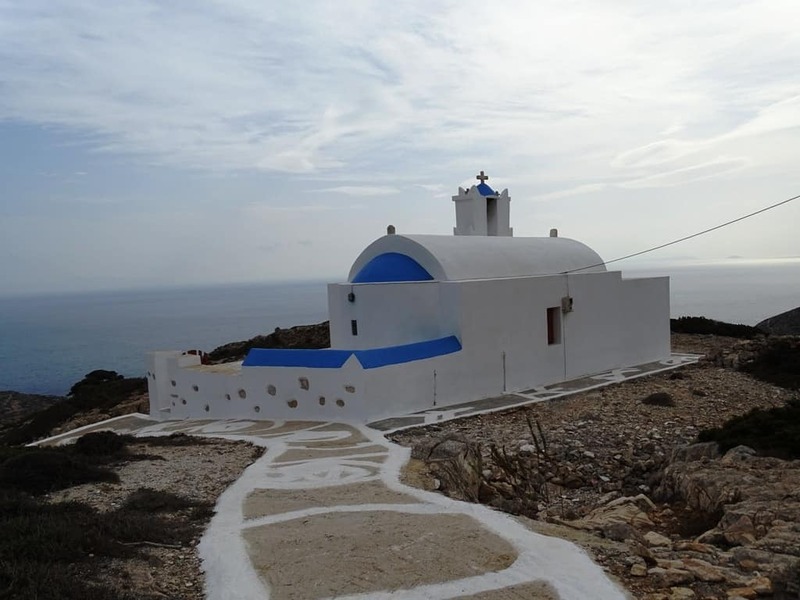 It is located in Stavros, the main village of the island. The beach is sandy with crystal clear waters. It is the ideal beach for families and small children. It is considered one of the most beautiful beaches in Donousa. It is exactly next to Stavros village and it can be reached either by car and then by descending a path, by boat, or on foot. 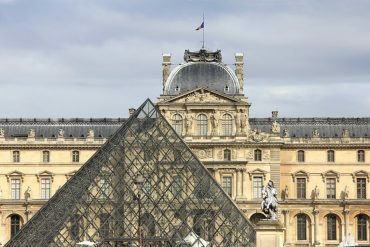 It will take you around 10 to 15 minutes to get there depending on where you stay. The beach has sand and small pebbles. It is a popular beach for nudists and young couples. Just above the beach, there is a beach bar serving drinks and light snacks. Just a few meters off the coast there is a shipwreck of a German ship that was sunk there during the World War II by a British aircraft. A sandy beach with turquoise waters popular among nudists and young couples. 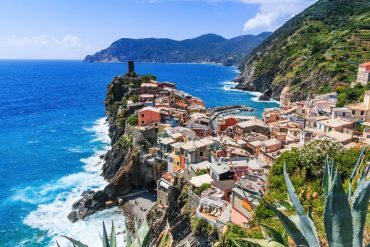 It can be reached either by boat or on foot from Mersini village. You will need about 20 minutes to get there. It’s not actually a beach but three beaches in the homonym village. They are all popular to families, children and couples. You can reach them easily by car or by boat. They are also protected from the winds. Sapounochoma beach is the first beach you will meet when you arrive in the village. It’s small with big pebbles. 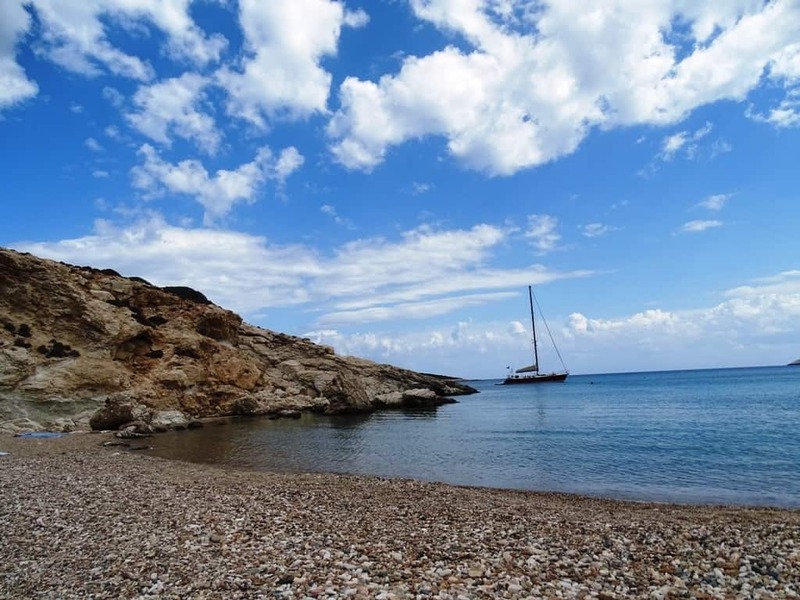 Vlycho beach is the second one and has tranquil waters and fine pebbles. The third one is called Mesa Ammos beach. It’s the largest and most remote beach of the three. It has fine sand and is popular with nudists and young couples. Tip: None of the beaches is organized so I suggest that you bring an umbrella with you. Also if you visit Livadi beach I suggest that you bring water and food as wel,l as the nearest taverna is 20 minutes away on foot. The island of Donousa is ideal for hiking. 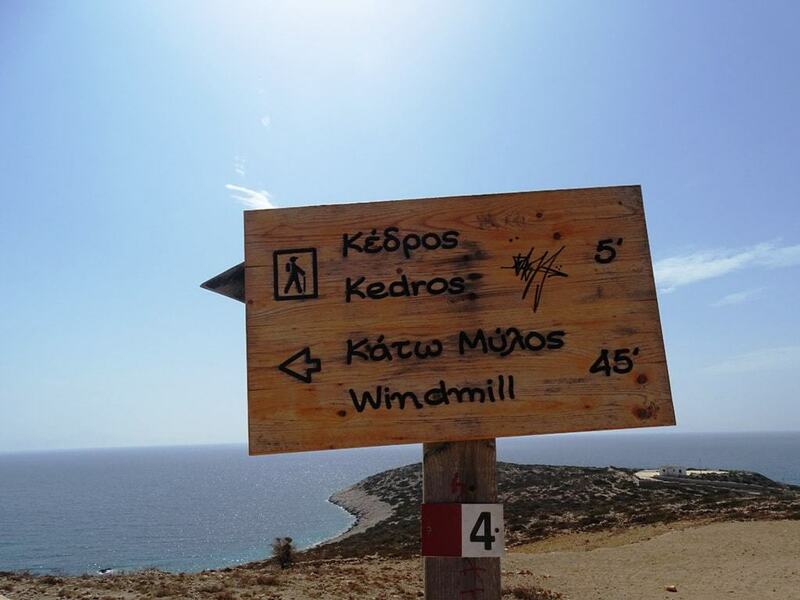 There are 5 numbered hiking trails on the island which are based on the original footpaths that people used. The shortest trail is only 1 km long and the longest one 4,40 km. It will take you around 1 hour and 30 minutes to walk it. 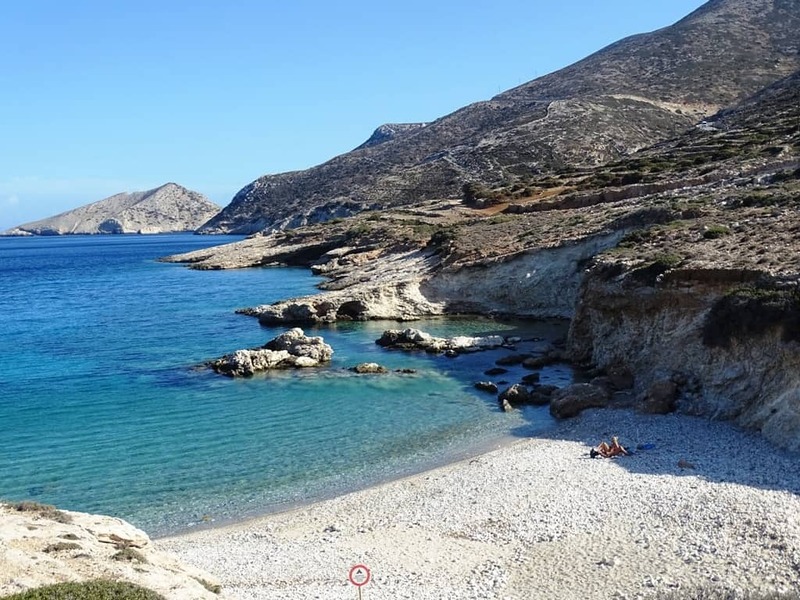 During your hike, you will be able to enjoy panoramic views of the surrounding islands of Naxos, Amorgos, Iraklia, Schoinousa and Keros. You will meet old settlements, abandoned mills, churches and the rich fauna of Donousa. I had a friend that visited Donousa just a month before I did so I went prepared. 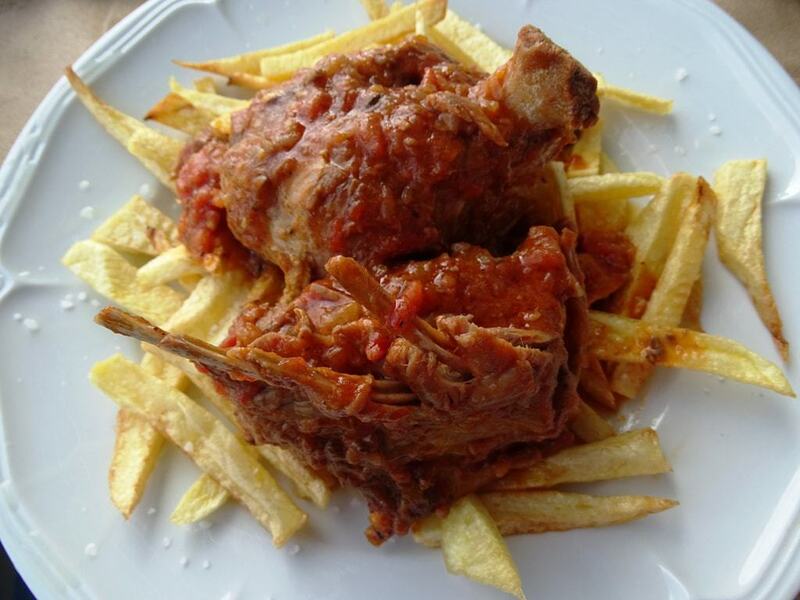 The daughter of Michalis in the village of Mersini is among the best food I have eaten recently. 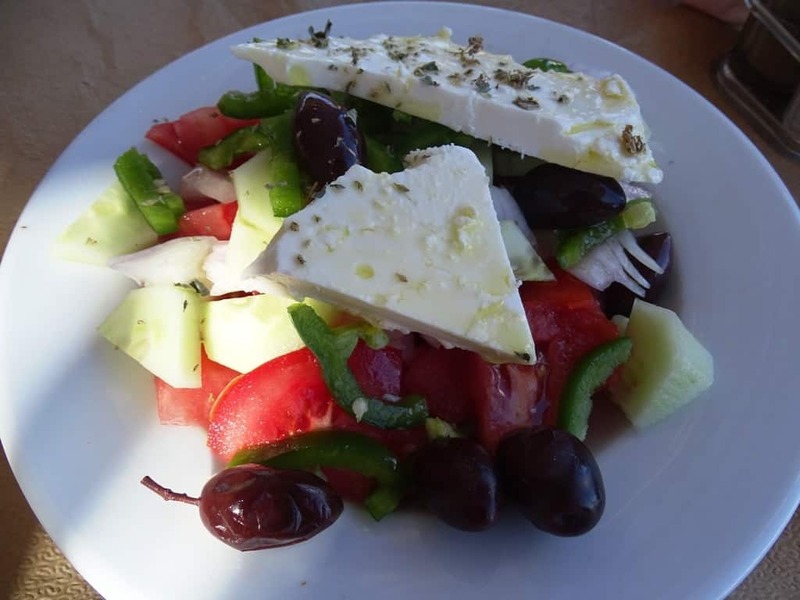 It combines fresh Greek ingredients with a gourmet approach in great prices. You shouldn’t miss it. 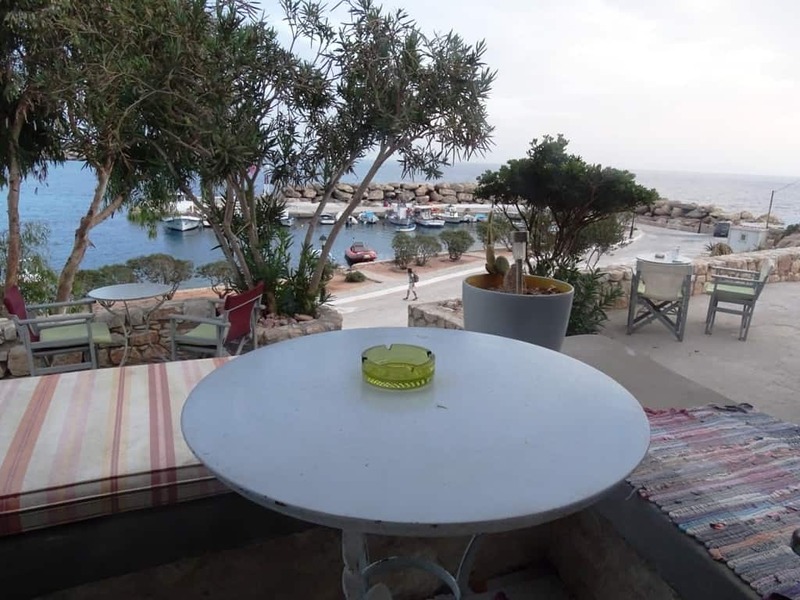 Taverna Mitsos in Kalotaritisa serves traditional Greek food by the sea. 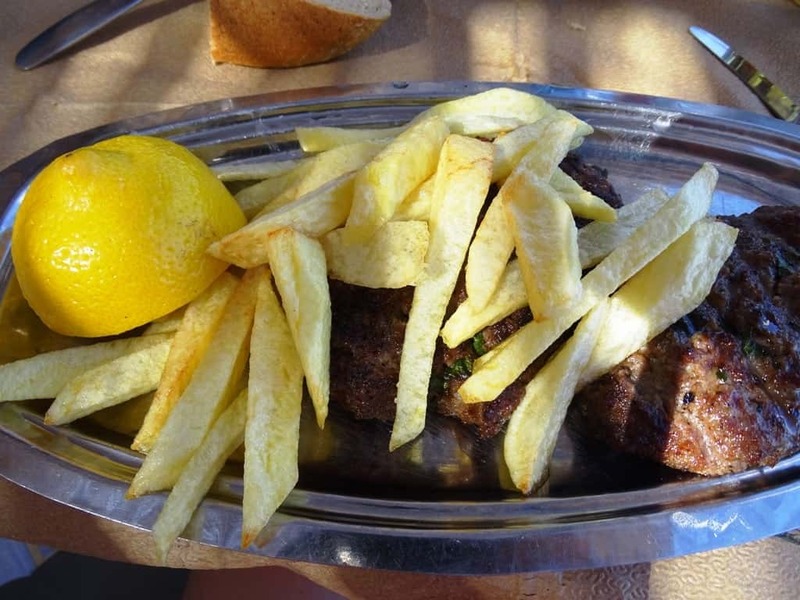 The taverna is famous for the beef burgers which I tasted and were delicious. 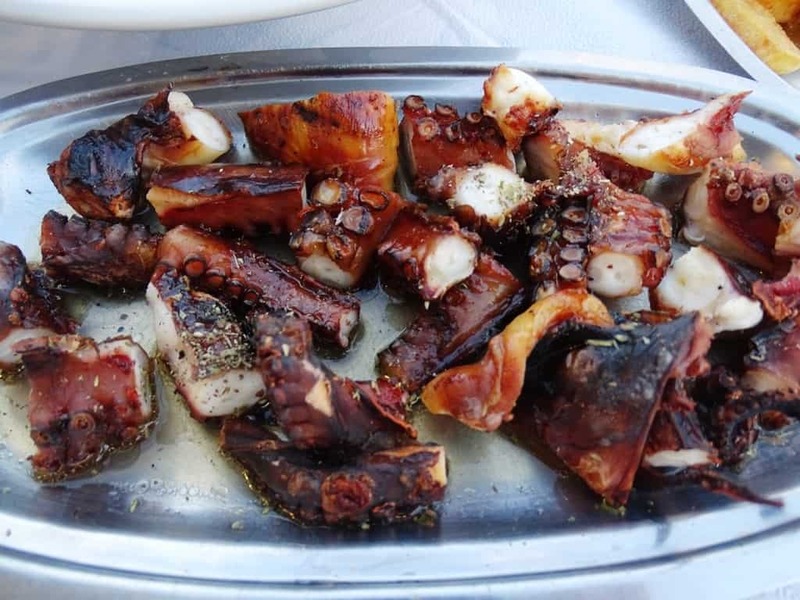 Taverna Giorgis at the port of Stavros serves fresh fish, grilled octopus and grilled meat. A good choice if you are in Stavros. Iliovasilema in Stavros is another traditional taverna recommended to me, but it was closed at the end of September that I visited. 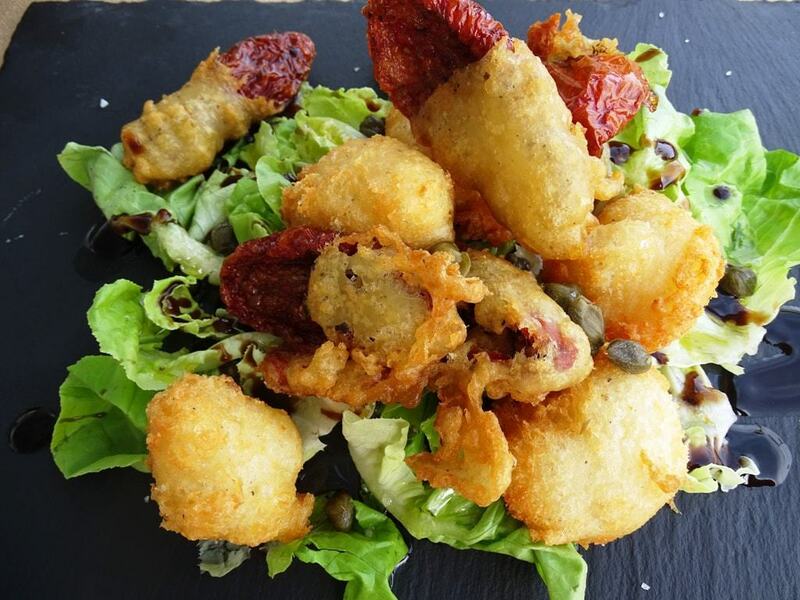 Generally, Donousa has great food at very friendly prices. There are also two bars in Stavros Sxantzoxeros and Corona Borealis. Only Sxantzoxeros was open at the time of my visit. I enjoyed breakfast there and drinks at night. 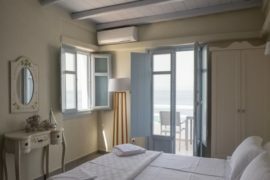 We stayed in Makares Apartments in Stavros. 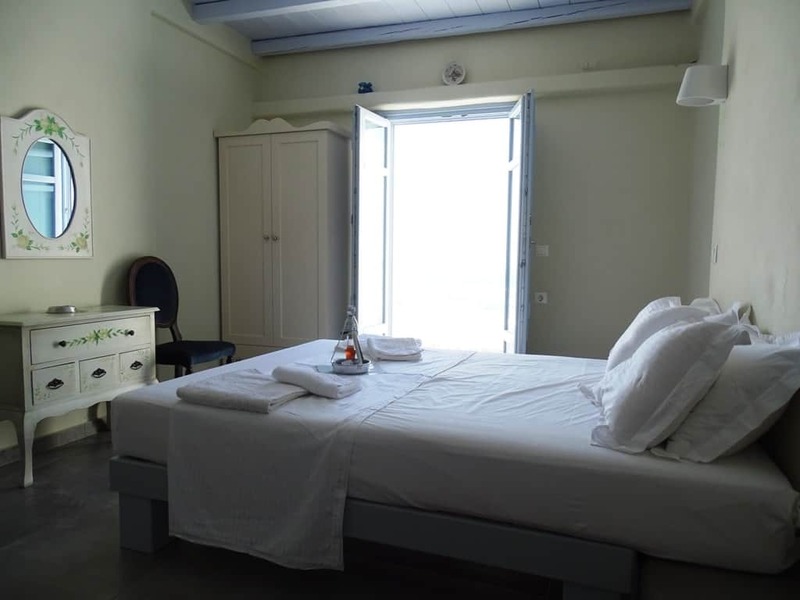 Beautiful new studios and apartments with sea views, a kitchenette to prepare meals, very comfortable beds with Cocomat mattresses, satellite Tv, air-condition and free Wi-Fi. The owner is very helpful and friendly. 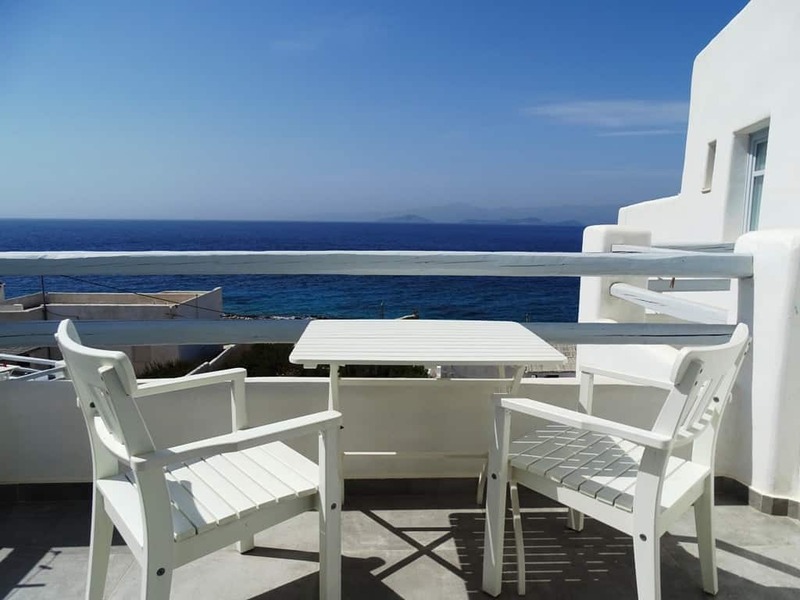 Within walking distance, there are a lot of restaurants and shops available and the beaches of Stavros and Kedros. 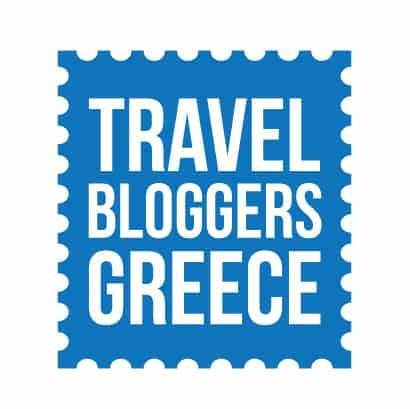 I totally recommend them to anyone who wants to spend a few days relaxing in Donousa. Check the latest prices and book Makares Apartments. Donousa is a very small island. I don’t recommend that you take your car with you.A scooter would probably be a better idea. In case you decide to do so, please note that there isn’t a gas station on the island. You can get around on foot either by following the road or the designated paths. Alternatively, there is a bus service that takes you around the island. Finally, you can also use the small boat that can take you around the beaches weather permitted. Blue Star ferries stop at Donousa 3 times per week during the off-season and 4 times per week during the high season. The journey from Piraeus to Donousa takes around 8 hours. 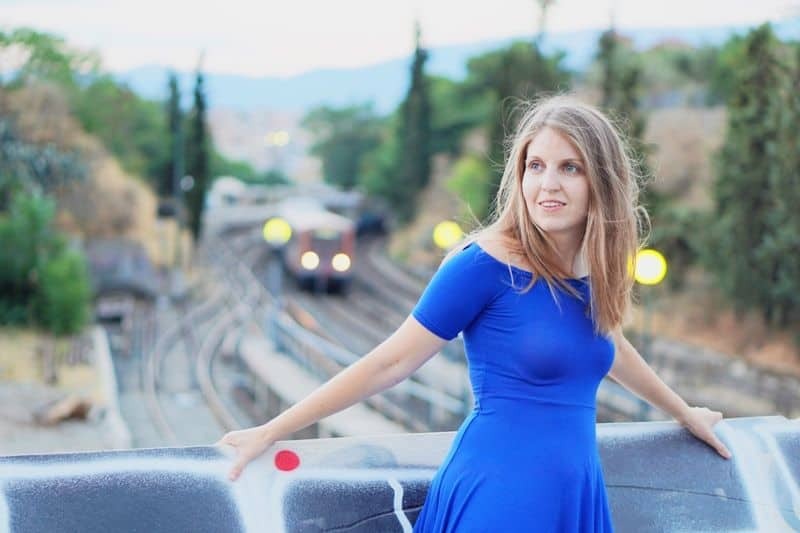 Please check http://www.bluestarferries.gr/en for more information. 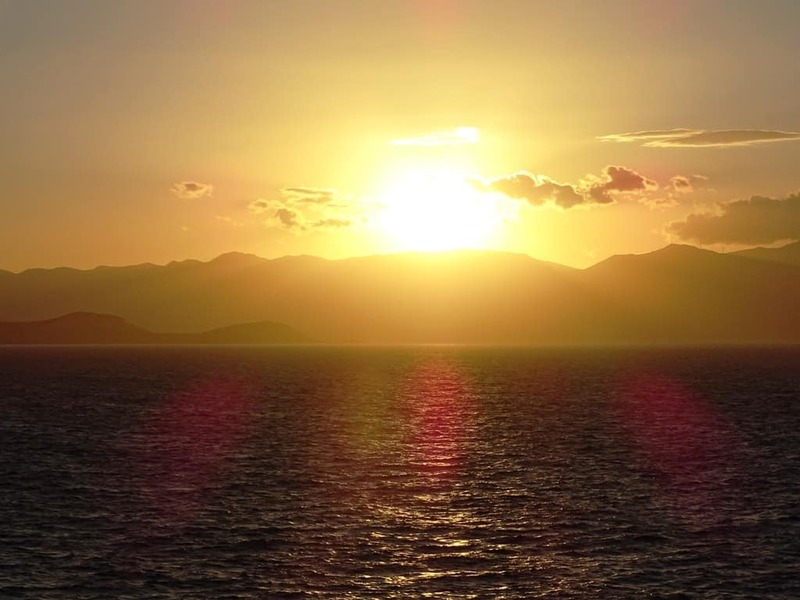 There is a boat called Express Skopelites that goes to Donousa and the other Small Cyclades islands 3 times per week. The journey to Donousa takes around 4 hours. 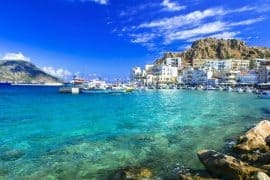 You can go to Donousa with Express Skopelites from Amorgos island, Shoinousa island, Iraklia island and Koufonisia island. 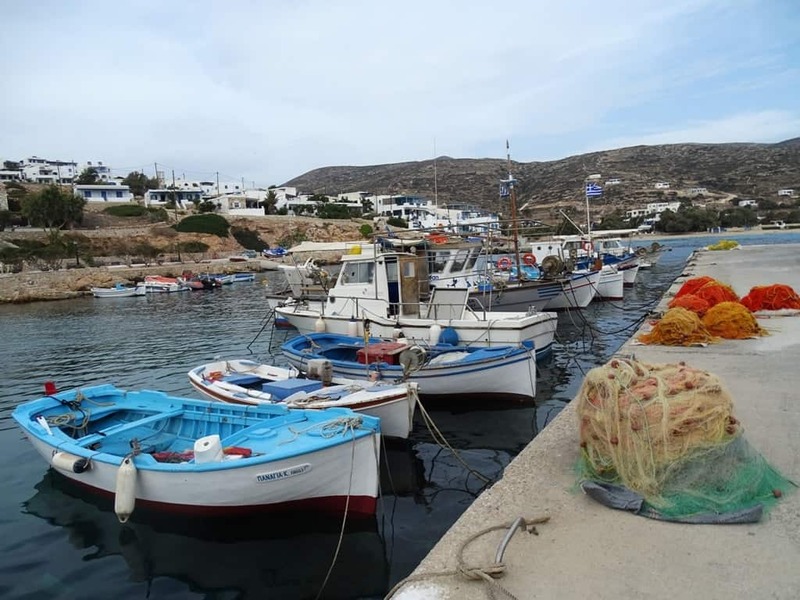 Blue Star ferries from Piraeus stops at Naxos and then continues to Donousa 3 times per week during the off-season and 4 times per week during the high season. It needs around 1 hour and 30 minutes to get to Donousa. From Naxos I took a Seajet to go to Donousa but at the time it operated once a week and it took us 2 hours to get there. Please check here https://www.seajets.gr/en/ for more information. Click here for all ferry schedules and to book your ferry tickets. 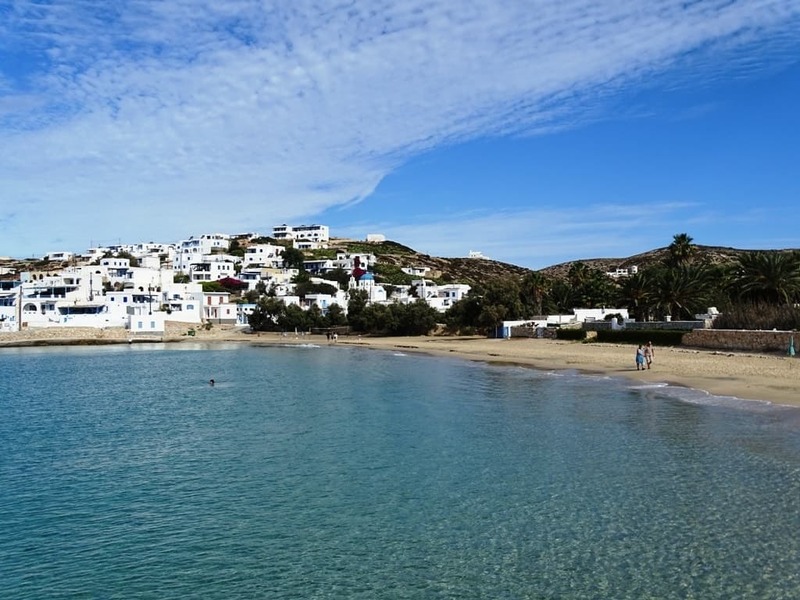 If you want to fly to Donousa the closest airport is the one in Naxos island. 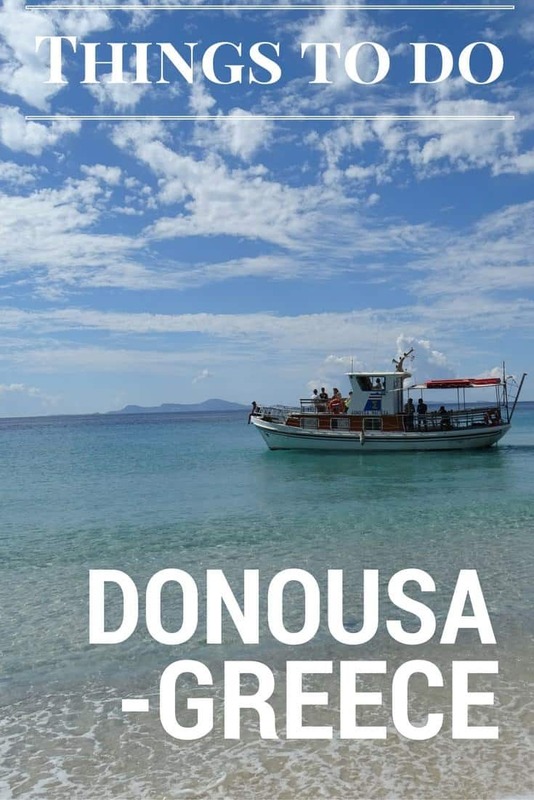 Have you been to Donousa? Did you like it? Love the new site, Chrissy!! Congrats! And by the way… awesome post! What a beautiful island. 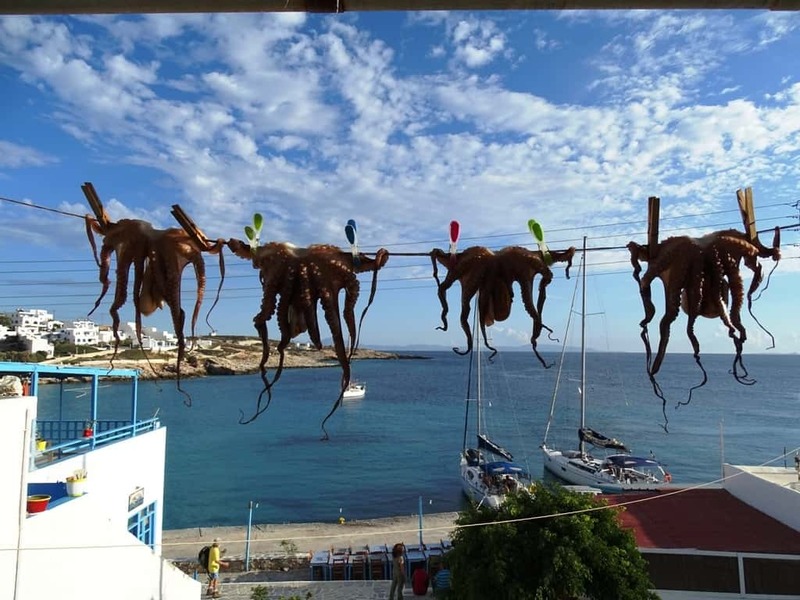 That octopus shot hanging on the line took me by surprise. I love the octopus photo!